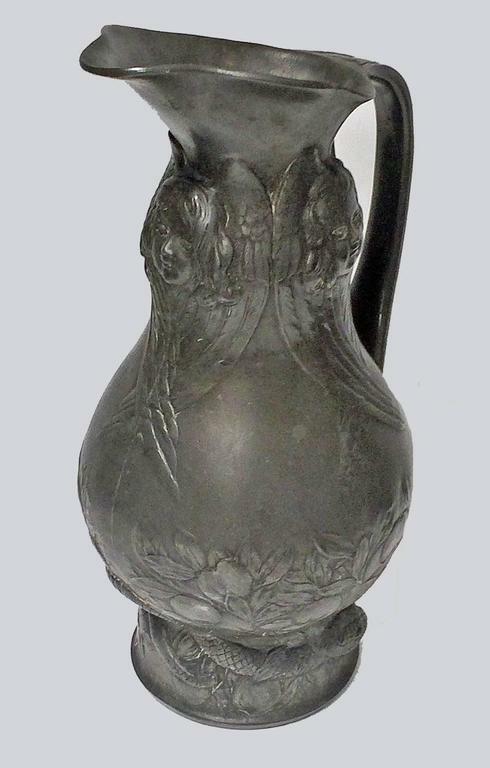 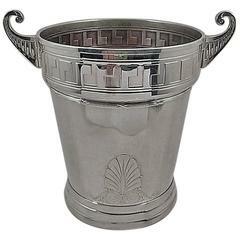 Rare design Art Nouveau pewter pitcher wine jug, circa 1900. 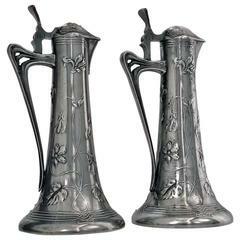 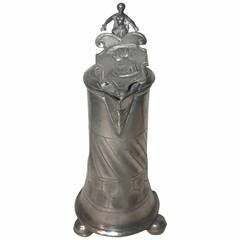 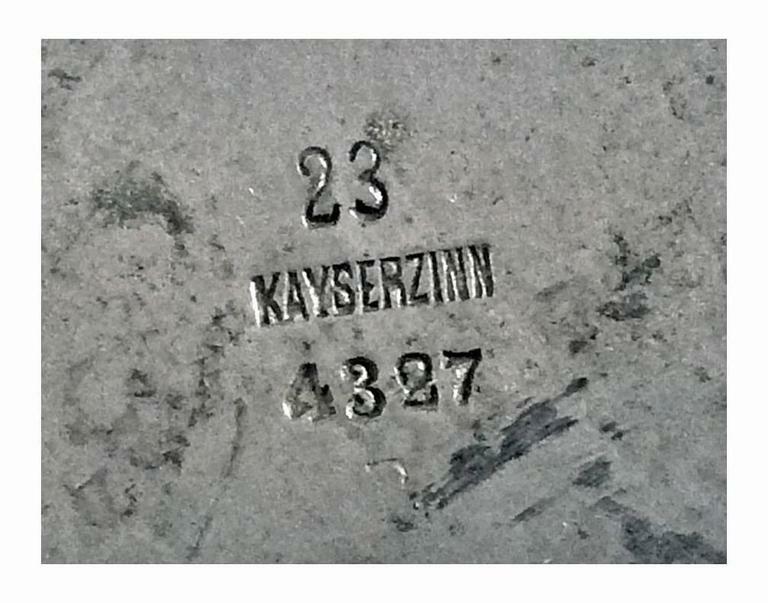 J. P. Kayser & Sohn AG - Kayserzinn was a leading factory of pewter making and well known for its progressive style in the period 1894-1912. 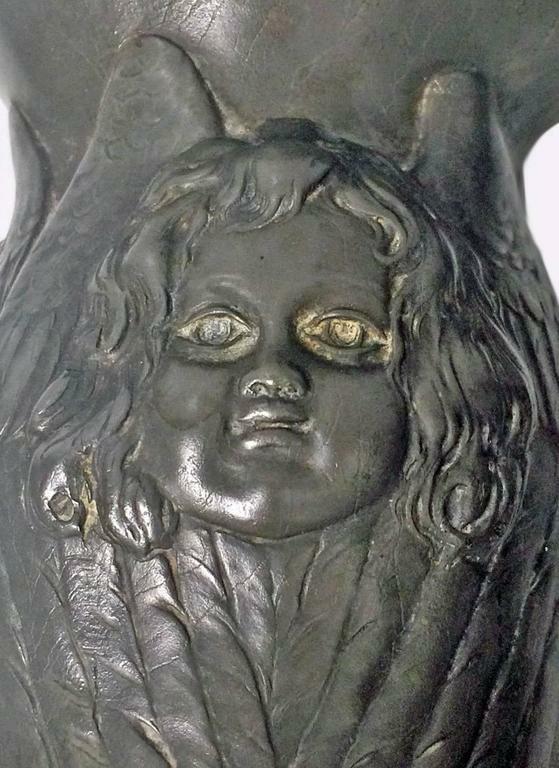 The jug with original patina, depicting three angel cherubs around the neck of the jug, long flowing hair and feathered wings extending down the vessel. 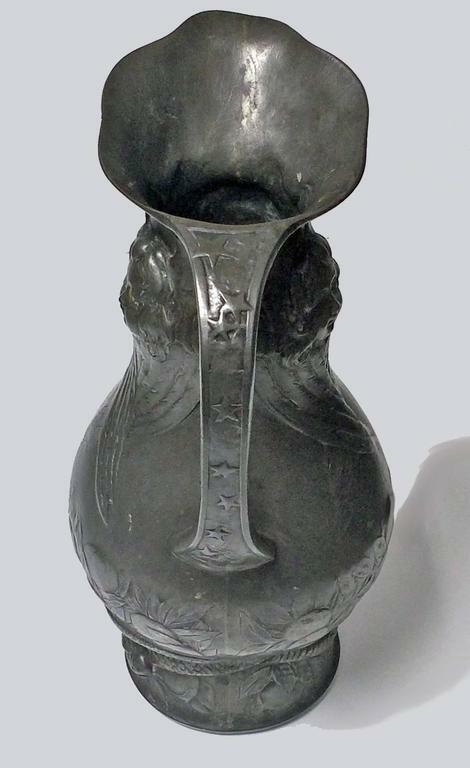 The base and lower section with rich foliate and fruit in relief with an undulating snake serpent surround. 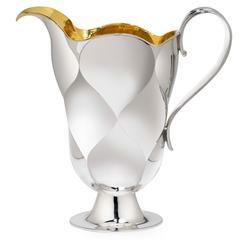 The curvilinear handle with star like decoration. 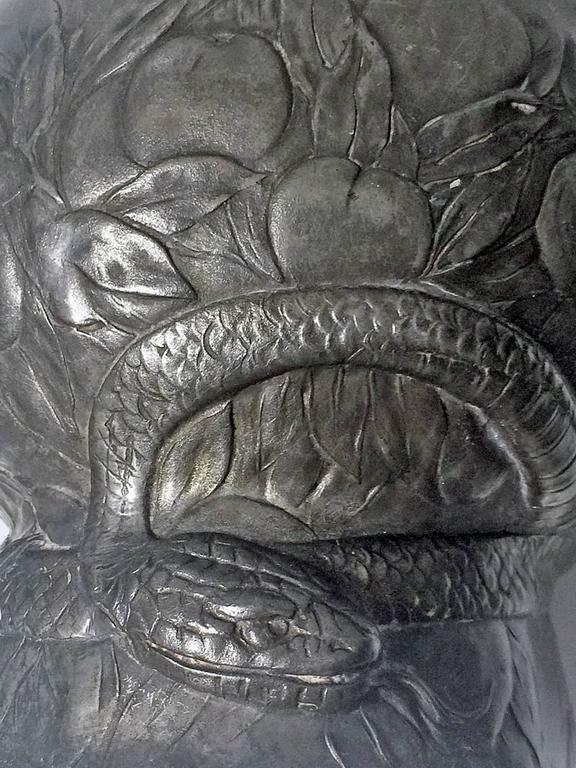 Height: 10 inches. 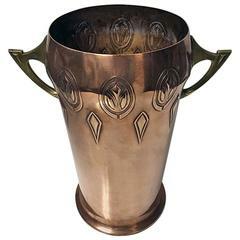 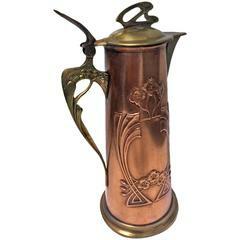 English brass wine jug or pitcher, 19th century. 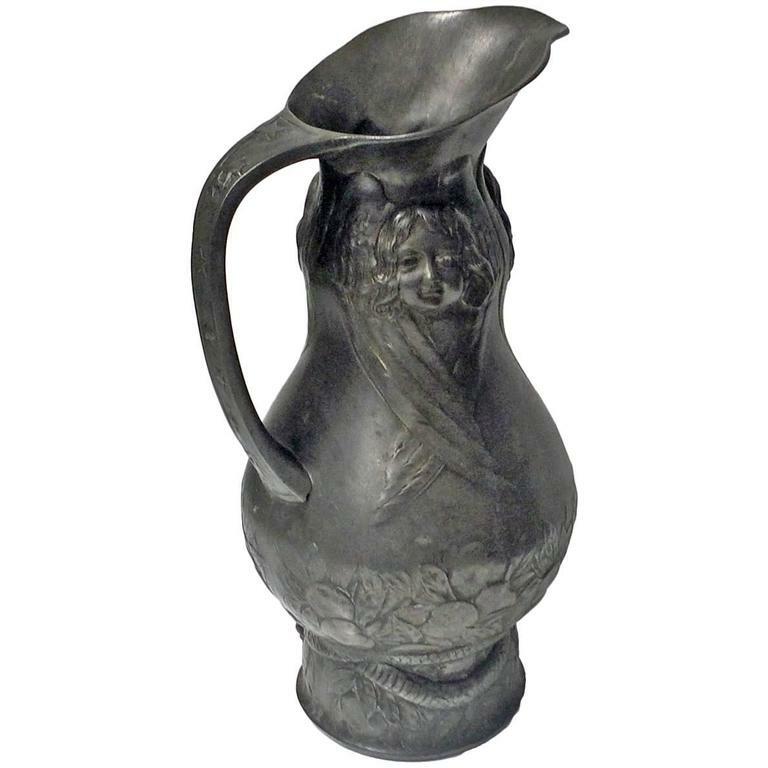 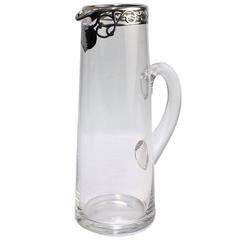 Beautiful Art Nouveau large pewter pitcher with lady on the lid. 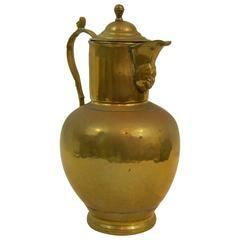 Amazing glass jug, with gold handmade embossed floral decorations. 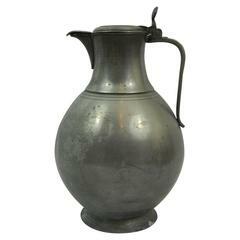 Extra large English pewter tankard or water jug, 18th century. 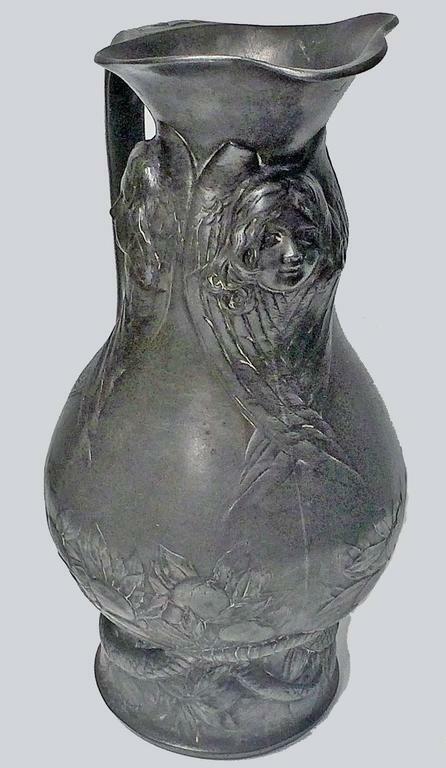 Blue Colored Mocha Pottery Jug, Circa 1800-1820.